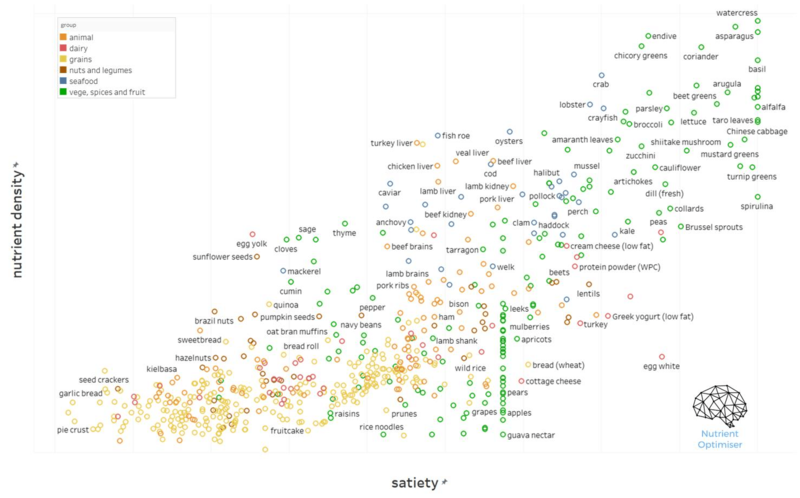 The table below shows the food groups ranked from largest to smallest in terms of calories per day. Consumption of red meat and eggs have already dropped over the past 40 years since the introduction of the 1977 Dietary Guidelines for Americans by the US of Agriculture. The Eat Lancet Guidelines admonition to decrease eggs and beef (whether it be for the environment or due to concerns over dietary cholesterol and saturated fat) will perpetuate the downtrend of these foods in our diet. 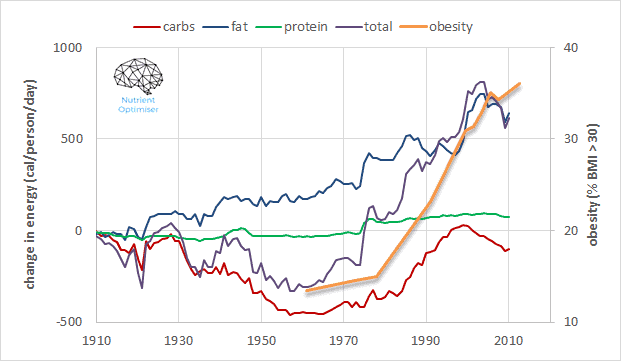 This chart shows the change in the availability of energy from fat in our food system over the past century. If prioritising unsaturated fat was beneficial for humans (rather than just a cheap and margin ingredient that food manufacturers have become addicted to) surely it should have started working by now! Vegetables come in at number ten on the list of recommended food groups in the EAT Lancet report, just before chicken and palm oil but nuts (6.0%), peanuts (5.7%), sweeteners (4.8%) and soy foods (4.5%)!